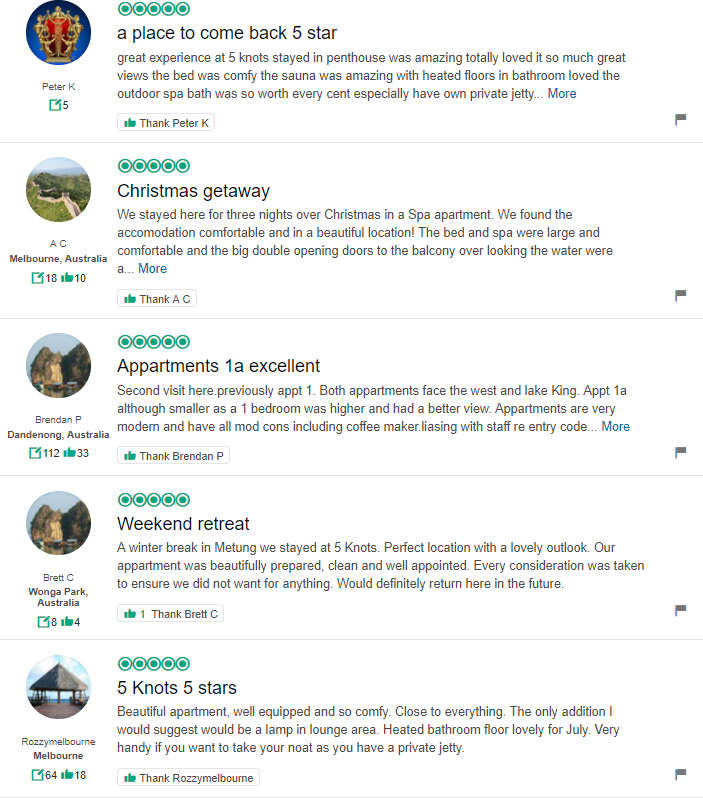 Click the trip advisor link above to see more customer reviews. Below is a snapshot to show you that it isn't just us that thinks that a stay at 5 Knots in Metung is an amazing small waterfront village experience not to be missed! For a self-contained apartment, these really do have all the creature comforts that any quality boutique apartment should have.